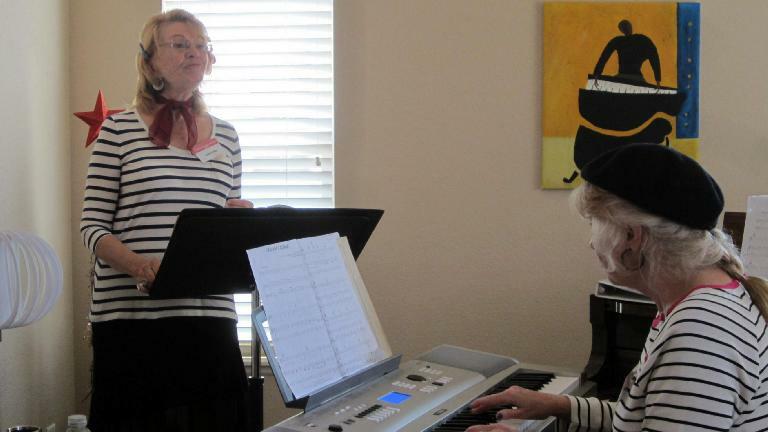 July 14th is France’s Bastille Day, so in order to celebrate, the French Film & Culture Club decided to… chanter (sing). At my place. With the piano. While it should be evident from our last French singing meetup that most of us in the club are not going to be featured on The Voice or even allowed into a local karaoke bar, members and Arla and Kate are actually pretty good, meaning that they can hit notes with sufficient accuracy to not make Oreo and Tiger scamper away. Here’s a video.